Although I’m not a dog owner myself, I do rather like the idea of recruiting a four-legged gem-hunting companion – I think we’d make a good team, so maybe one day soon! In the meantime though, I know that many of you like to bring your own dogs on holiday with you to the Lake District, and that the area is becoming ever more popular as a place to spend time with your companion. In response to demand, I’ve noticed recently that more and more Lake District attractions are inviting well-behaved dogs to join their owners on a day out. This is good news if you’d like to vary your activities in the Lakes to include things other than walking, but are not quite sure where you’ll be welcomed. There are sometimes a few reasonable restrictions in place, such as the need for a lead and that dogs be kept away from food in cafés – and bear in mind that these may apply even if I haven’t mentioned specific requirements in this post. There are many great days out that can be reached by boat on Windermere with Windermere Lake Cruises. Dogs on leads travel free on all boats, including the self-drive and rowing boats, and it turns out they even get a ticket of their own! A nostalgic visit suitable for all ages, this museum is located in Backbarrow, on the site of the former Backbarrow Blue Mill – best known for manufacturing the washing additive, Dolly Blue. Well-behaved dogs are welcome throughout the exhibition areas free of charge, but do note that Café Ambio next door doesn’t accept dogs. 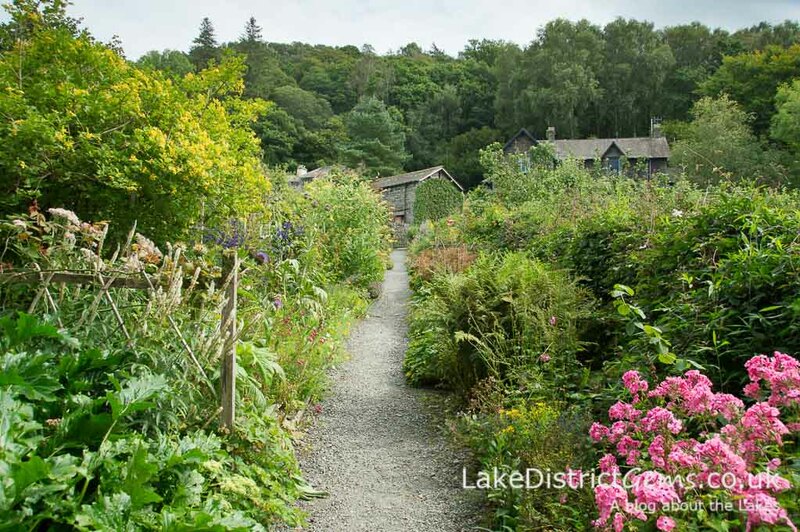 This railway with steam locomotives and 1950s carriages runs 3.5 miles along part of the former Furness Railway branch line from Lakeside, where you can also take a cruise with Windermere Lake Cruises. Dogs are very welcome and travel free of charge. Ullswater is one of the more dramatic stretches of water in the Lake District on which you can take a cruise. You could also take a boat trip to break up a walk using the surrounding Ullswater Way. Dogs on leads are welcome on board for a small charge (currently £1), and in the pier houses. This narrow gauge railway, known as La’al Ratty, reaches seven miles from Dalegarth in the Eskdale valley to the coastal village of Ravenglass, and was once used to transport iron ore – as well as members of the public. Dogs are welcome aboard the train for a small charge (currently £1.50), and are permitted in the ticket offices and on the lower floor of the Fellbites Café at the Dalegarth-for-Boot terminus (but not the Turntable Café at Ravenglass Station). Water is also available at both stations, which are situated at either end of the railway. Do note though that dogs are not allowed at some events. A fantastic way to break up walks around Coniston Water, or just a lovely experience in itself, Coniston Launch welcomes dogs free of charge. You can also take a launch to get from Coniston village to Brantwood on the eastern shore. 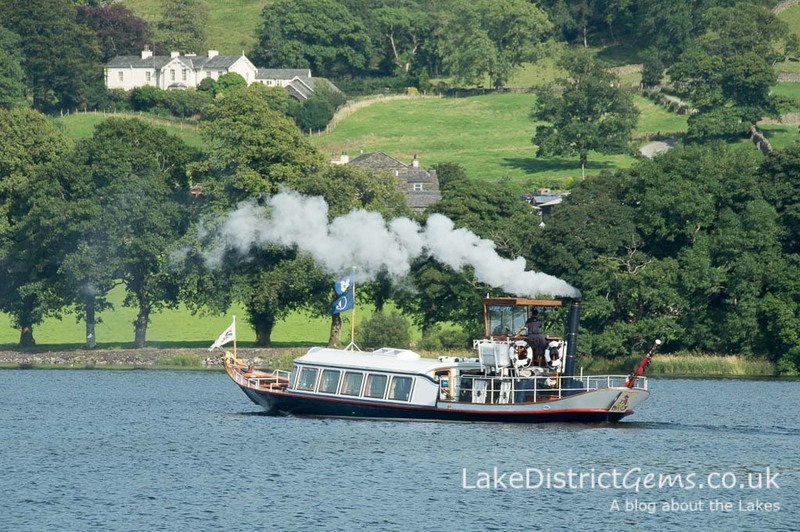 If you’re after an extra special cruise on Coniston Water (again useful for breaking up a longer walk using the Walker’s Cruise), the National Trust’s Victorian Steam Yacht Gondola is a fantastic historic experience. Dogs are welcome on the outside decks, which is where you’ll want to be anyway on a sunny day. As with Coniston Launch, Gondola also stops at the Brantwood jetty. 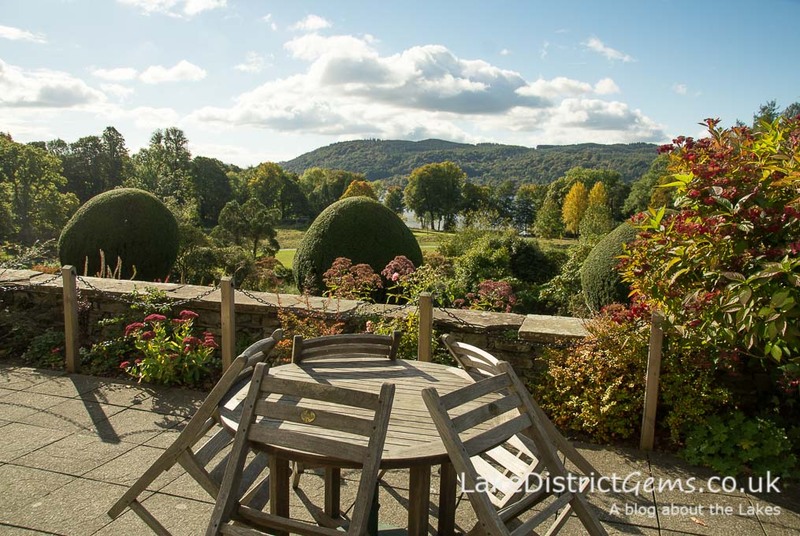 If you’re looking for somewhere peaceful to explore in the Coniston area, the grounds and natural gardens at Brantwood are a joy. Although not permitted in the house itself, dogs on leads are welcome in the gardens and at the café – you can buy a gardens-only ticket and parking is free. Conishead Priory is a fascinating place to visit. The Buddhist Temple is well worth seeing, as is the main house, a Gothic mansion. You can also take a walk round the garden and through the woodland to the edge of Morecambe Bay – the views are quite a surprise when you emerge from the trees. Dogs on leads are welcome in the gardens and grounds, but not in the temple itself or café. Apparently there is a lounge next door to the café, where you are welcome to have lunch with your dog, and there’s also seating outside to enjoy in warm weather. Mirehouse is an English country manor house whose natural gardens and grounds apparently stretch down to the shore of Bassenthwaite Water. It sounds beautiful, so it’s on my list to visit! Dogs on short leads are permitted in the gardens. English Heritage’s Brougham Castle is just outside Penrith, and was first founded in the 13th century. I love the fact that you can still explore the four floors of its stone keep, with its spiral stairwells and stone passages. There are some gorgeous views from the top. Dogs on leads are welcome. Furness Abbey, situated near Barrow-in-Furness, is another major English Heritage site in the area, and dogs are welcome throughout. The only working bobbin mill left in the Lake District, English Heritage’s Stott Park Bobbin Mill gives you a great sense of the area’s industrial history. I was told that dogs are welcome throughout, and on the tour, although from my own experience of the mill there are wooden steps and ladders which I suspect wouldn’t be suitable for all dogs. There’s also a lovely walk nearby to High Dam, a man-made tarn which once fed the mill. Situated to the north of Penrith is the historic house Hutton-in-the-Forest, where dogs are welcome in the walled garden, gardens and grounds, and also in parts of the tearoom. If you enjoy mind-boggling puzzles, The Puzzling Place is based in Keswick – you may have seen the well-known image of its anti-gravity room on one of its leaflets or in a tourist brochure. Dogs on leads can accompany you for free, and I’d be intrigued to know what they make of it! The Lakeland Miniature Village at Flookburgh is home to over 100 miniature buildings made from Coniston slate, which recreate famous buildings and landmarks from around the Lake District. Dogs are very welcome on leads. Lowther Castle is now an historic shell which stands amongst thousands of acres of parkland and ancient woods. Its original gardens were first designed in the mid-1600s, and whilst much has since been lost to nature, long-term work is taking place to bring new life to areas within them. Dogs on leads are allowed in the grounds, the courtyard and inside the café, but are not allowed on the children’s Lost Castle adventure playground. One intriguing piece of information: the Lost Castle, which opened in August 2016, is currently Britain’s largest adventure playground! Dogs on leads are welcome at Old Hall Farm, which takes you back in time to life on a historic working Lakeland farm, using traditional methods and animals. You should be especially mindful of the farm’s resident animals, and although dogs are not allowed in the café, there is undercover seating outside, and there are also picnic tables in the picnic area. 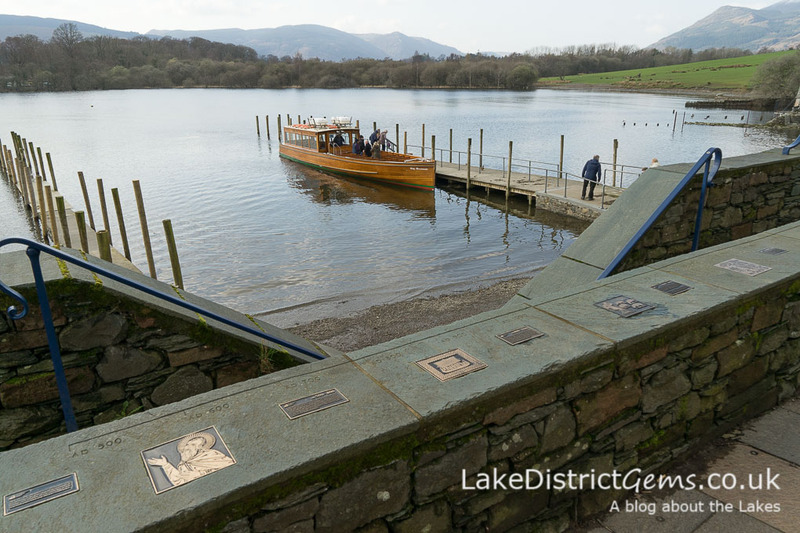 Ideal for exploring the many walking routes and areas of interest around Derwentwater, Keswick Launch welcomes dogs on board its 50-minute round cruises free of charge, and you can hop on and off at the jetties as the mood takes you. The Lingholm Estate was where Beatrix Potter’s family once spent many of their annual family holidays. Lingholm recently recreated the original walled kitchen garden which was in part the inspiration behind Mr McGregor’s Garden. It is overlooked by Lingholm’s large, light and airy tearoom, which serves fantastic food. Lingholm welcomes dogs on leads. For a short period of time, Allan Bank at Grasmere was once home to William Wordsworth. You can enjoy the house and grounds here and dogs are welcome too. Brockhole’s a particularly great place to visit if you have children, and being on the eastern shore of Windermere, has its own jetty with access to Windermere Lake Cruises. Dogs are welcome in Brockhole’s substantial grounds and gardens, on the café terrace and in the orangery (but not inside the main café itself, although there is some undercover seating outside), shop and exhibition area. As you’d expect, they’re not allowed in the adventure playground or indoor children’s areas. The Forestry Commission’s Grizedale Forest is famous for its sculpture trail, and there are now over 40 outdoor sculptures there along its walking and biking routes – there are lots of walking route ideas on the Grizedale Forest website. Dogs are very welcome as long as you follow the Dog Code. Grizedale ask that you keep dogs on leads around the visitor centre, and they are understandably not allowed on the Adventure Play Area. 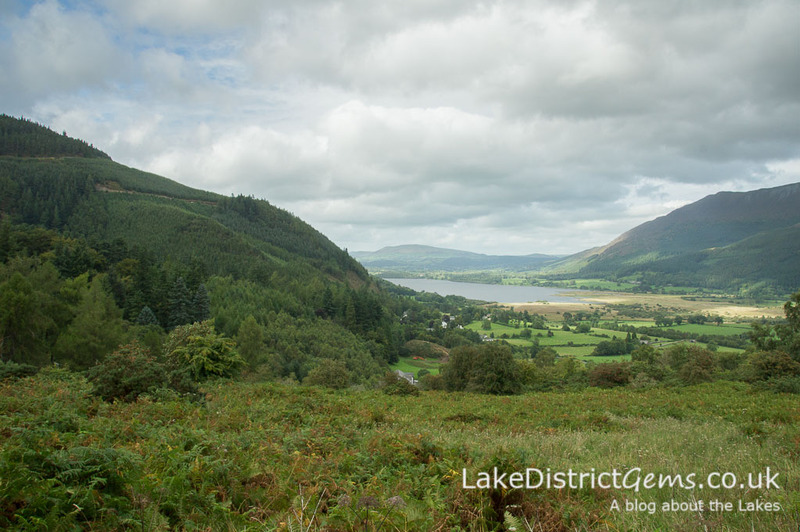 Also belonging to the Forestry Commission, Whinlatter is England’s only true mountain forest, and is also dog-friendly – as is the on-site café, Siskins Café. Muncaster Castle can be found in Ravenglass, in the south west corner of the Lake District, and describes itself on its website as ‘Cumbria’s top dog-friendly attraction’. Dogs on leads are welcome free throughout its 70+ acres of woodland gardens, and inside the smaller of the two cafés, the Owl Garden Tea Room. There is also outdoor and some undercover seating at the main café. Dogs can’t enter the castle or the Hawk & Owl Centre (for obvious reasons! ), but there is a special viewing area that allows you to see the afternoon ‘Sky Hunters’ bird of prey display, and dogs can also accompany you to the Wild Heron Feed. Please note that to the best of my knowledge this information is correct at the time of writing, but individual attractions may revise their policies at any time. If you discover that any of the information here is no longer correct, please do please let me know and I’ll update the post for the benefit of future readers. Have I missed anywhere out?! If you have a favourite attraction that’s dog-friendly and I’ve not given them a mention, please do let me know (and help fellow dog owners visiting the Lake District) by leaving a comment below! Thank you very much for your comment Karen – although I’ve not visited myself, I’ve heard some great things about Allan Bank, so it’s definitely on my own list of places to get to shortly! It’s great to have your recommendation. Thanks Sharon – I’m really pleased to hear you’ve found it useful, and hope Hugo has been enjoying your days out! And thank you so much for your recommendations, which I’m sure other readers will find really helpful too. I must get to the pencil museum myself at some stage! Just discovered your blog. Thoroughly enjoyed everything. Will recommend. Do keep up the good work. Thank you very much for commenting – I’m really pleased to hear you are enjoying reading it! Planning a trip to the Lake District from Bristol with the family our dog. Great to know there are so many places we can go and take our much loved pet. Thanks for your blog. Thank you Julia – it’s great to hear that the post has been of help to you and I hope you all have a lovely time!